Moppila Bay is a natural harbor which attracts tourists around the year. It is situated in Ayikkara Kannur town of Kerala state. On one side of the bay is Fort St. Angelo which was built by the Portuguese and in the other side there is located the Arakkal Palace. Both the artifacts give tremendous opportunity to engage tourists during their visit to this place. 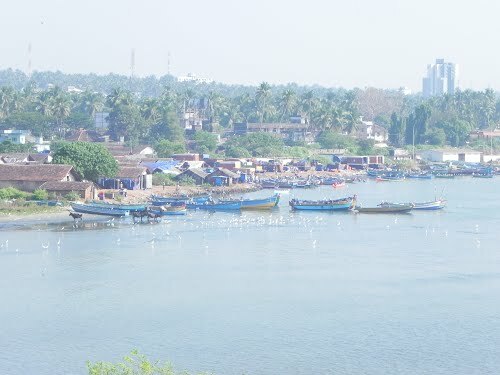 Moppila Bay of Kunnar city is one of the interesting places in Kannur which attracts both the locals as well as outsiders. It is a natural fishing harbor and it has been developed as a modernized harbor with the assistance under the Indo Norwegian pact. 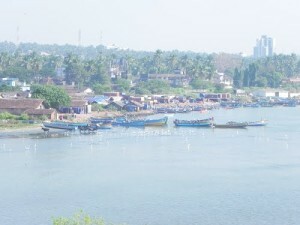 The bay was at the peak of its popularity during the Kolathiri’s regime as most of the trades were being conducted in the harbor. It linked Kolathunadu with Lakshadweep which helped in imports. When the weather is good, one can take boat ride to the sea. It gives a unique experience to the tourists. The sea wall projecting from the fort is worth of viewing. It separates the inland water from the sea. For a day ‘s visit one can view the sea wall and make a boat ride if the climate allows one to do so. The calmness of the beach allures many. One will not get many activities to be enjoyed by the tourists. One can sit on the shore and enjoy the boats moving on the sea. The calm atmosphere takes away one from the busy-ness of the city life. The sea is quiet here at Moppila bay. There are less waves coming to the shore and it creates unique scene on the sea. Viewing the remnants of temples and forts is a good pastime for the tourists. Accommodation is not a problem for the tourists. One will find many budget and cheap hotels in Moppila bay. As Kerala is getting famous for medical and dental tourism, Moppila Bay provides many budget hotels to the visitors. One will find guesthouses, economic lodging, motel Inn and star category facilities at Moppila bay. The nearest railway station is Kunnur and it is connected with many major cities of south India. The nearest airport is Kozhikode. It is situated at a distance of 93km from the bay. One can hire taxis to come to see the Moppila bay. One can travel by road too. All the major cities of south India are connected with Kunnur through the road transportation.